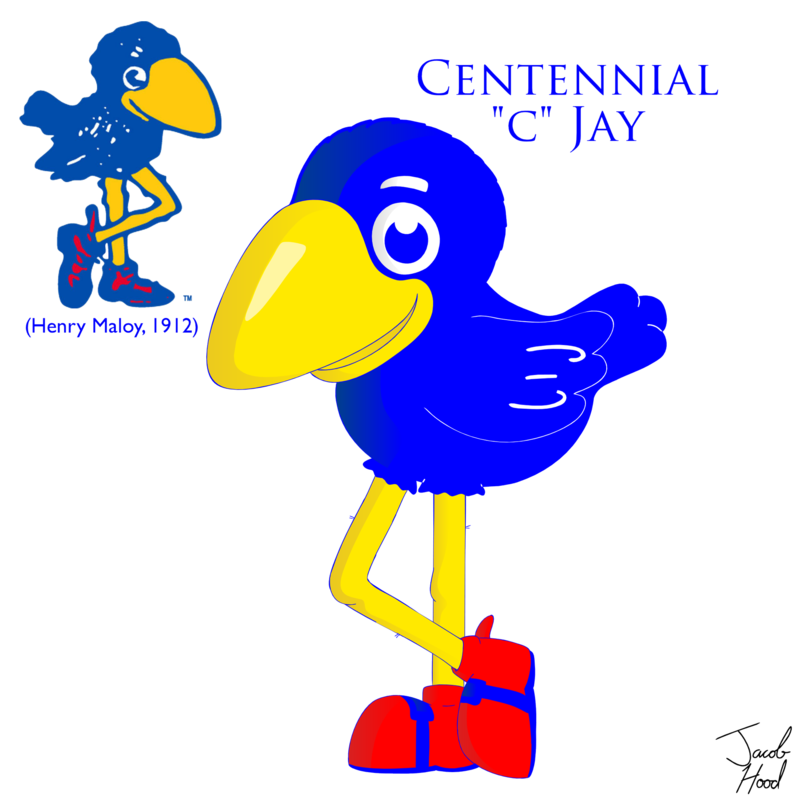 Centennial Jay (or C Jay) is the oldest, wisest Jayhawk. While very civil, classy, and a bit old-fashioned, he's spunky with a fighting spirit. He loves music, dancing, and Lawrencian culture. C Jay is famous for kicking opponents with his crimson shoes ... all while wearing a smile on his face.